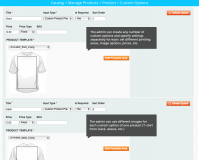 Give visitors an easy way to create custom products in your Magento store. 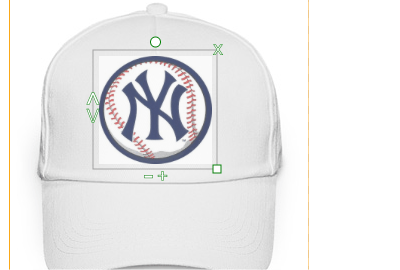 Outline the area they can edit and let them apply custom text or graphics to it. You will see the same final product at your end. 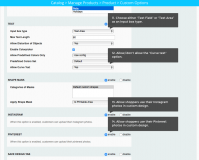 Why Use Magento Custom Product Designer extension? 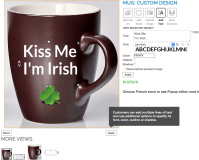 Allow your customers to personalize gifts such as mugs, T-shirts, greeting cards, and others. 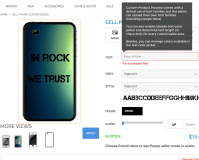 Let shoppers change the default print of your merchandise by applying custom images, graphics or their Instagram/Pinterest photos on any device. Product personalization has become a go-to strategy for businesses willing to keep ahead of the competition. That is the reason why Customer Product designer is a must-have extension for Magento store owners. By introducing a product customization service at their stores, online retailers get an outstanding opportunity to increase the average order value and sell more. Custom-designed products are of a higher interest among buyers than usual items. So with such an ability at your store, buyers won’t be able to resist making a purchase. Additional services like the product personalization allow merchants to show customers that they are ready to go an extra mile for them. If buyers get the exact product they want, their loyalty and satisfaction won’t take long to come. 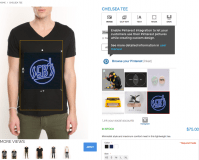 Store owners can leverage Custom Product Designer as a great tool for business decision-making. By monitoring the way buyers personalize and design conventional items, they get a clear picture of customers’ needs and expectations. This can bring actionable insights into the current product assortment and help them introduce the new goods that will be highly relevant and popular among the audience. Upload an image, choose from clipart provided by admin or upload from your Instagram or Pinterest account. Rotate, resize or bring objects to front/back. Use multiple layers: several objects in one printing area. Place graphics behind the product template (for templates that contain transparent areas, such as photo frames). Choose from .jpg, .gif, .png or .bmp default image formats. Activate additional formats such as .psd, .tiff, .eps and others (requires ImageMagick*). Apply a shape mask (for example, a heart or a star) to outline the area of your design that should be used for print. 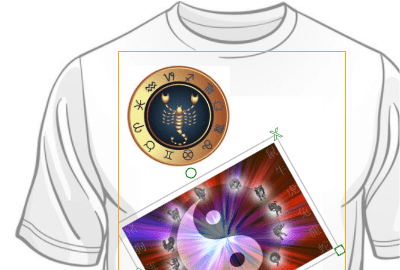 Transform colored images into black&white custom design. * This feature requires ImageMagick and image libs (libpng, libjpg, libsvg, etc.) to be installed and php exec command to be allowed at your host. 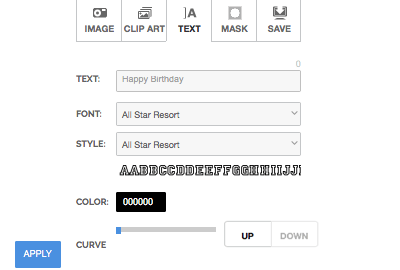 Add multiline text, specify text font and color, enable a text curve option (if needed). Align text (left, center, right). Add custom outline or shadow to text. Rotate, resize or bring text to front/back. 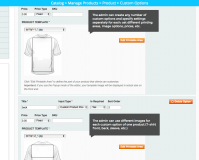 Add multiple text objects to one printing area of the product. Choose from a default set of font families. The admin can upload or delete font families. The format of Google fonts is supported. Make text curve at the desired angle. 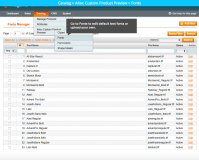 The admin can set maximum text length for each product template separately. 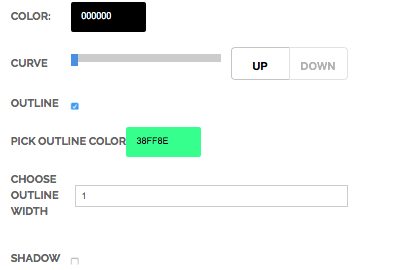 The admin can enable/disable text color picker and manage available colors. 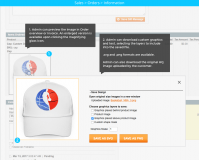 Let customers preview their custom products in the shopping cart and at the last step of checkout. 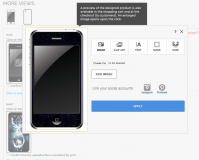 Let a logged-in user edit a previously purchased custom product and/or re-order it. A snippet of the custom product is added to the confirmation e-mail. 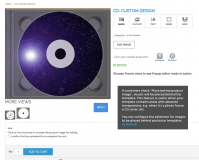 See all custom products back-end in Order and Invoice details. 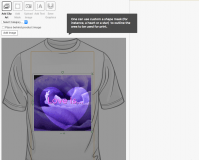 Download custom graphics and text from the Order and select the layers to include into the saved file. Download client images in .svg, .png (requires ImageMagick and ghostscript). Download high-resolution originals of the images uploaded by clients. Customize the look-and-feel of the image editor. 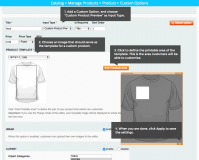 Define a rectangular area of the product template customers can add graphics/text to. 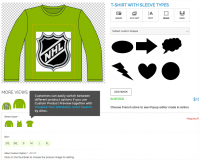 Upload your own clipart and shape masks that can be used for custom designs. 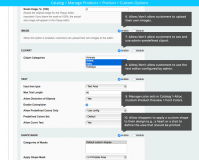 Assign custom options of one product to any number of other products and create new custom products faster. 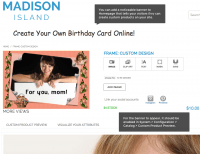 Connect Instagram and Pinterest with your store to let customers use their pictures in custom design. Publish a set of requirements to user-uploaded graphics (advised). Have customers check a checkbox confirming they have read your technical requirements and that their image is compliant. Add a noticeable header to your Homepage to let customers know they can design products in your Magento store. 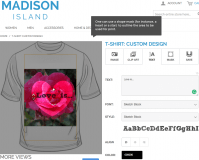 Allow customers to share their custom products on Facebook, Google + or in email. 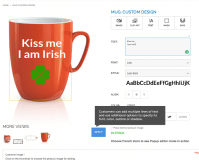 Earlier Custom Product Designer was a Magento extension which let buyers personalize goods by adding images and text as well as using shape masks and other tools. Now its functionality extends way beyond these features, enabling your customers to create masterpieces in no time. Besides an incredibly user-friendly interface, the updated extension provides customers with an extremely broad range of custom options. Admins could change the look of the editor in a number of ways as well as create custom options faster using mass assign option. 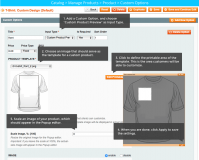 Copy custom options from one product to another in a flash. Seriously, it is THAT fast. Bringing the most pleasant user experience practices to the table, we have changed the design of the editor (both pop-up and on-page modes). The popup editor is now responsive, which makes Custom Product Designer accessible and usable on any device. Respecting your perfectionism, we added a possibility for admins to scale product image shown in the popup editor. A customer can choose to make text curve at the desired angle in order to match the shape of the product or just for pure design purposes. The extension could be useful for any kind of store. Even if you have a design boutique selling geometric minimalist lamps and might have doubts on whether any additional design would seem tasteless on them. Take advantage of our Black & White feature which enables the transformation of a design of any color into black & white. Your visitors will be able to create individual design while preserving the minimalist style of your products and zen wiIl be saved. Social media junkies will largely appreciate if you let them take advantage of design they have already created or marked as their favorite on social media. Let your buyers upload their personal pictures from Instagram and Pinterest using Custom Product Designer and their love (and likes) will be guaranteed. Convinced to buy? Remember that with the extension you get a 30-day money back guarantee, free email support for life and 6 months of free updates. Compatible with Product Color Swatches & Visual Attributes. Compatible with Custom Product Options Templates. *Please note that the extension only works with Simple, Configurable, Downloadable and Virtual products. 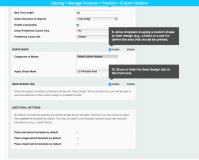 Magento Custom Product Options plugin – Set specific dependencies between options and values and assign multiple products to any existing template at one go. Magento Product Quantities Increment extension – Set up custom measurements and allow visitors to select units and quantities via usability elements like dropdown lists, plus/minus buttons and others. 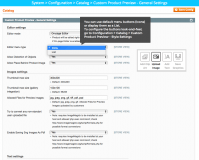 Config Magento Product plugin – Generate new simple associated products leveraging multiple product attributes and manage them in a separate table. Magento Grouped Product Options extension – Create and edit new product groups and assign custom attributes for any item included into a group. 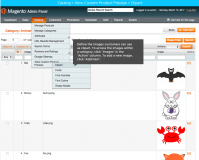 Magento Product Product Attributes Visualisation extension – Upload icons, images and colors and change text descriptions to the corresponding objects automatically. FYI if you have Magento CE1.4 or lower please install ver. 3.2.6 which is the latest available for old versions. Starting from ver. 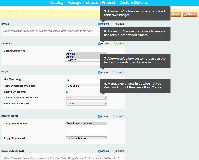 4.5.0, Magento "default" theme is not supported due to responsive design prerequisite. + Added possibility to convert images to black and white format. 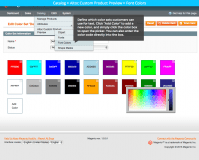 * Fixed an issue with incorrect resizing of the custom product preview thumbnail on the product page when selecting swatches added by Aitoc's 'Product Color Swatches & Visual Attributes' extension. + The extension is compatible with Magento CE 1.9.3 / SUPEE-8788 patch. * Fixed the 404 and other errors when saving custom image from the order in admin panel. + Displays text font in the "Save Graphics" tab both in the front end and admin panel. * Fixed 404 issue when managing clip arts, fonts in back end with SUPEE-6788 patch. + A new back-end interface and other usability updates. + Compatible with Magento 1.9.2.1. * Fixed an issue regarding the attribute price isn't added to product price (compatibility with Magento Color Swatches). + Compatible with Magento 1.9.2.0. * The latest phrases has been moved from source code to Aitoc_Aitcg.csv for the easy translation. * The csv file with the phrases for the translation has been updated. + An informational popup when user's browser is set to block popup windows (that prevents saving as PNG) is added. + Compatible with Magento 1.5.0.0. + Compatible with Magento CE 1.9.1.0. 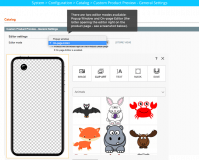 + Allows to configure "Place behind product image" feature for clip art, image and text objects for each custom option separately. * An issue with incorrect order of layers is fixed. * Design issue with the CPP editor menu is fixed. * An issue with saving image from admin panel when setting 'Add Store Code to Urls' enabled is fixed. 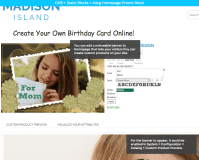 * An issue with image customization when using https:// on product page is fixed. * An issue with cropping right side of image in popup editor mode is fixed. * Issue with the pop up disappearing on click outside of the box is fixed. * Dependent options issue is fixed. Compatible with Custom Product Options Templates ver. 3.2.10 and higher. * An issue with text outline and shadow is fixed. 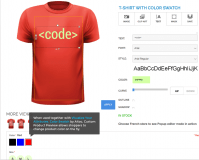 * Ajax issue when start editing Custom Product Designer option (shadow and outline are disabled) is fixed. 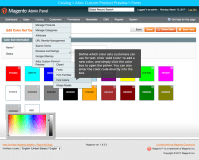 * Compatibility issue with AITOC Product Color Swatches & Visual Attributes is fixed. * An issue with pallete when Merge JS files is enabled is fixed. * An issue when using big (size \ resolution) images is fixed. * Apply button and text object issue is fixed. * An issue saving as SVG (together with Product Color Swatches module) is fixed. + Compatible with Product Color Swatches & Visual Attributes ver. 3.1.1 and higher. * An issue with color picker for outline and shadow when predefined colors enabled for text is fixed. * An issue with Facebook sharing is fixed. * An issue with custom product image link in the confirmation e-mail on Magento 1.7.0.2 is fixed. + Compatible with Ultimo magento theme for Popup Editor mod. 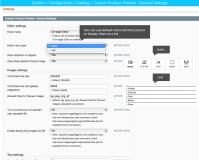 * Converter error for orders with the deleted product is fixed. 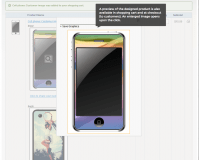 * Issue with validation activated when saving graphics on the product page is fixed. 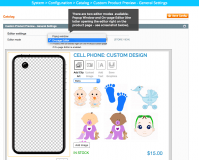 + Enables Customer to upload their custom image behind the template image. * Issue with buttons tooltips aren't displayed after image rotating is fixed. * Incompatibility with Pre-Orders is fixed. 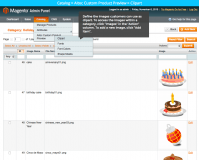 * Aitoc Custom Product Preview tab availability for admin with restricted permissions is fixed. 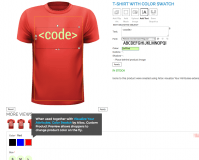 + Enables shoppers to add custom outline and shadow to text. * Minor bug fixes are made. * Issue with the compatibility with AITOC Custom Options Templates extension is fixed. * Issue with the aitoc customer image custom option addition for not default scope is fixed. * Minor bugs are fixed. * JS code refactoring and optimization was done. * Issue with Save as SVG in IE8 is fixed. * Issue with rescaling in IE8 is fixed. * Issue with Convert to PNG is fixed. * Issue with Edit Printable Area functionality in IE is fixed. * Issues on Mac OS are fixed. * SVG file and Adobe Illustrator compatibility issue is fixed. * IE browser and few other minor bugs are fixed. * IE9 bugs are fixed. * IE bugs and few other major bugs are fixed. + Compatible with Magento 1.7.0.1. + Compatible with Magento 1.7.0.0. * IE issues are fixed. + Compatible with Magento 1.3.1+. * Color picker bug in IE is fixed. * SVG element bug is fixed. + ImageMagick converter integration and other minor updates. + Admin can enable/disable text color picker and determine the text length for every custom preview option. 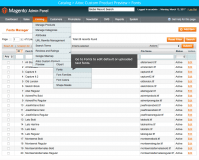 + Enables Admin to upload a set of pre-defined images sorted by categories for customers’ use. + Compatible with Magento 1.6.1.0. * Preview image position issue is fixed. + Ability to make preview image upload optional is added in the list. * Major bugfixes and updates. + Compatible with Magento 1.6. * fixed the bug with more than one Aitoc customer image options. * fixed the bug with product price change when the image upload is complete. + Ability to make high-quality image upload optional is added in the list. * Compatibility fix with Custom Options Templates Extension. I use it in Magento 1.9.1.0 and can say it’s just an A1 extension for those who see value in time and money! It’s puffed up my sales and saved on support expenses, as it works great with Amasty modules. Excellent value for money, great functionality and quick support. I have used this extension in Magento 1.9.1.1 version and it work like charm. i also used custom theme and Custom product preview works fine with custom theme too. i recommend this extension as i think this is the only extension who provides this much customization by user in front-end magento and easy to maintain from back-end. I've been using this module for a year. Big thank you to the aitoc team that they updated the extension and made it user-friendly. It's good to see that the extension you purchased a year ago is still being improved. Support is one of the best support on the market. Thank you Andrei! This is a great extension. I tried to implement all these features for a long time using many different extensions. I spent $$$ on these tryings. However, every time I had issues that prevented me from launching my site in time. This module does great job and their support team helped to correct design issues very fast. I'm happy like a kid now, because everything works like it should. My recommendations, no doubt. Good product and have useful features and great support. Excellent for product customizations by users. 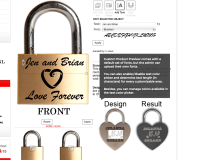 We are using this extension to provide individual engraving on jewelry. it works fine and the user love it. We implemented this extension into Magento 1.9.x Thanks for this extension and the support. Quality Extension, Good Support Usefulness 5 / 5 Functions as Described 5 / 5 Developer Support 5 / 5 This extension has a lot of good features for allowing customers to design their own products. We found this extension to have more features than other similar extensions. Support was very responsive to a couple questions that we had. My client has a wholesale workbags business and they sell products with custom embroidery. We've been evaluating similar modules for few months and finally decided to go with Aitoc custom product preview. For me it was really a plug and play experience. It's quite easy to customize all functions from the back-end. Good work! 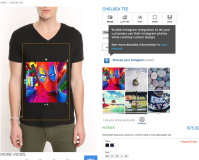 5 / 5 Great T-shirt Designer Extension I had been searching for a reasonably priced t-shirt designer extension for Magento CE finding many that were way over priced with restrictive terms. 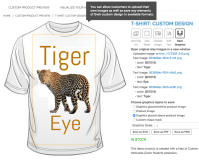 Custom Product Preview provides all of the essential features I was looking for with a reasonable price. I also contacted customer support for a minor issue I was having, and received A+ support. 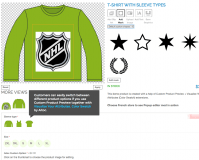 I would recommend this extension to anyone who is trying to avoid spending a huge amount of money for a t-shirt designer and give this one a try. Great Extension that has Great Support This module from Aitoc really ticked all the boxes for us, the support team were really helpful and set us up very quickly. The ability of having various size images to work with for our customers was something that we could not find with other extensions and the full screen view is especially useful. 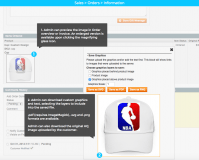 The module allows customers to preview orders upload images, and text, leading to a happy customer. We are very happy with the extension and I would recommend it to anybody selling custom designed products. This extension works great and the developer support is fantastic. they helped add some customization to help it synch up with our magento website perfectly. Extraordinary Extension & Support Aitoc has went above and beyond with this extension. The customer previewer truly adds value to your site and opens up a new market (custom-designed products) for Magento sellers. Moreover, it takes out the “guessing game” of trying to understand how your customers want the end-product to look like. 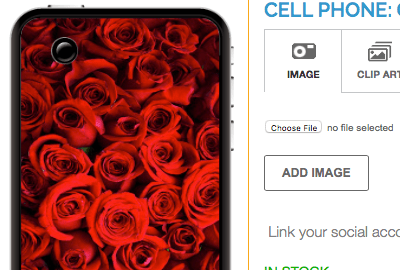 We have experimented with other upload/preview extensions, but this is truly the ONLY one that effectively and easily allows customers to preview orders and upload images, ultimately leading to heightened levels of customer satisfaction. We needed custom modifications for the Arabic version of our site and the Aitoc support team facilitated the work in a low-cost and timely manner. The Aitoc team always responds to inquires expeditiously and is very attentive to detail and confidentiality. We recommend this extension to everyone selling custom products because it fulfills its purpose and function unprecedentedly. I use thisi extension on my magento site. It works as described. This is very useful for merchant like that sell custom product. It worth the price. The Best and Worth The Price I use this extension on my site, this is the best extension I found for custom product. Very advance, inexpensive, and feature rich. I used this extension for a few months now and i must say, it works great. Great extension and support I am working with Magento 1.7 and it works great. Easy to use and if we have a question, there is a quick answer. 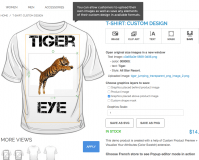 Best Priced Online Customization Tool I am well versed when it comes to web to print and other online customizing tools. This is by far the easiest and cheapest solution available. I've spent countless hours with Zetaprints and others just like it that charge you per order and require you to convert products to Corel Draw and then they still don't function like this product (I spent months doing this ugh!). I had a slight issue the images not showing properly, but they have great support and they solved my problem right away (it was b/c of the template I use). 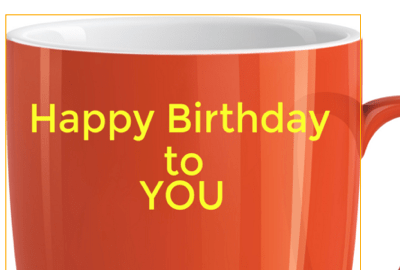 One downfall is that you cannot upload a print ready pdf to the images, so when your customer creates their product, it will not be the best quality to send to the printer--But this is an issue with Magento, not this product. I will probably end up customizing it a bit more to my liking, but overall a very good product. Thanks a ton! Works great! An excellent solution for Custom Products. Support is pretty fast as well. Thanks for this nice product. useful and well developed simple and useful module support is very efficient!! really good custom preview. Could do with a few more features and I would happily have paid more it, saying that they are happy to look at the features I would like, at an extra cost so it will be right for us. Support was brilliant and they worked with 3rd party extensions to ensure all worked as it should. Great module, works as advertised. Took some fine-tuning to get it to play nice with our custom template, but the Aitoc support team was more than willing to lend a hand for accomplishing this end. Thanks for the module and the support, Aitoc. Great module, works as described. Had to do a bit of fine-tuning to get the module to work with our custom template, which is to be expected from almost any module, and their support team was more than willing to lend a hand to this end. Thanks for the module and the support, Aitoc. I bought this product recently and I had an error coming up. Contacted them, exchanged emails for a week and finally they resolved it. Problem was missing data during installation from our end. They were quick to respond and most importantly solved my issues. Would recommend them anytime! I have used this extension on 2 projects in the last month, and it's nothing short of fantastic! Coupled with outstanding support, you really can't go wrong if you're looking for an extension that allows this kind of functionality. I look forward to many more projects using extensions from AITOC! Thanks its a good product and i have used it. I specially like the kind of support you provide to your customer..thanks a lot.. Excellent module, works really well. Thank you AITOC Team. 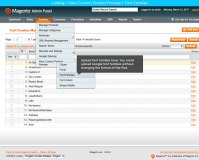 Turn customers into your sales managers by allowing them to create unlimited gift lists in Magento.